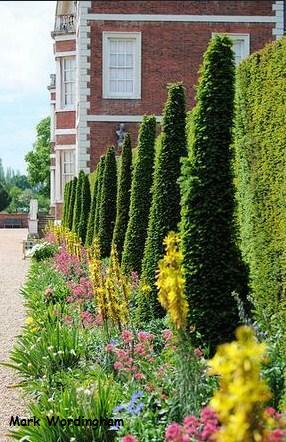 Lovely gardens surround this outstanding Stuart House known as Ham House on the banks of the River Thames. 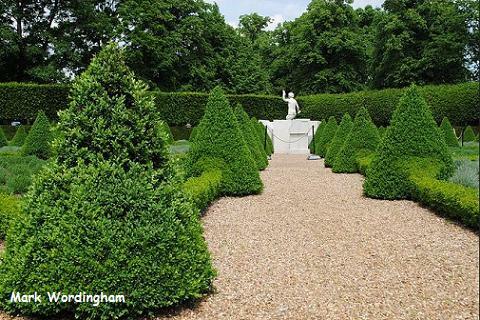 Extensive and beautiful 17th century gardens with lovely Cherry shaped parterre. 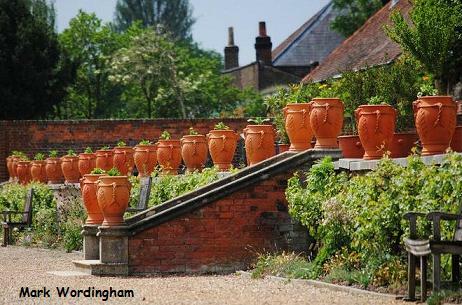 Many pots and tubs, 17th century garden furniture. Colourful flower borders and other features including an Orangery and a wilderness garden. The House itself has a fine interior with a great collection of furnishings and textiles. 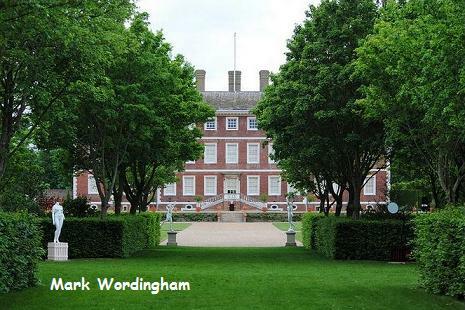 National Trust 2019 - Ham House Gardens - opening all year - See Ham House website for days and times. Delightful tearoom in Orangery. Disabled Access.